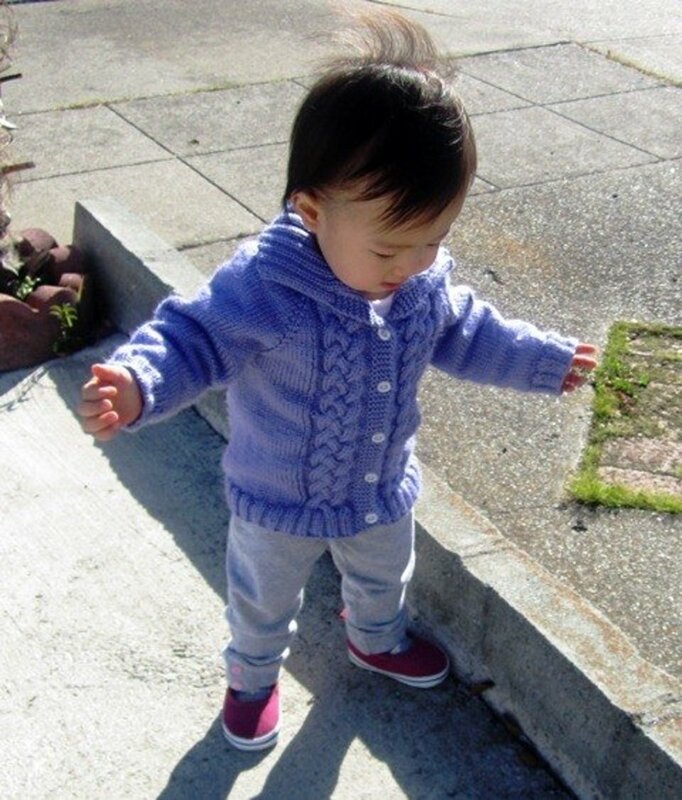 This purple baby sweater pattern is a very simple design for knitters. It is mostly knitted with stockinette stitches for the whole body, rib stitches for edges and collar, just two braided cables in the front, and also seamless knitting. It can make babies comfortably warm in the cold weather. 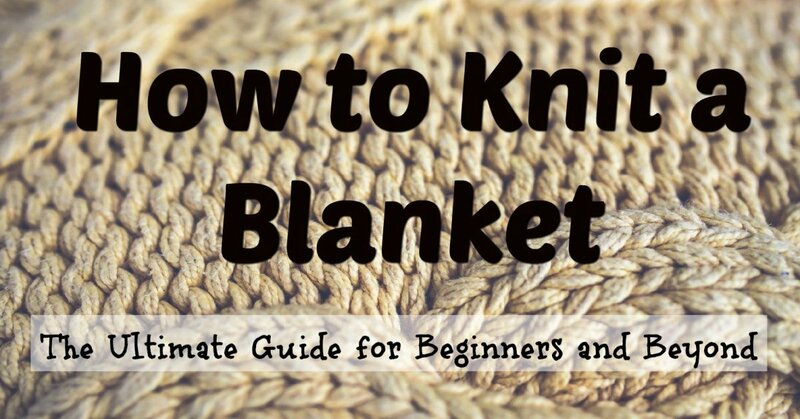 How-to-knit videos are featured at the end to help beginners follow along easily. 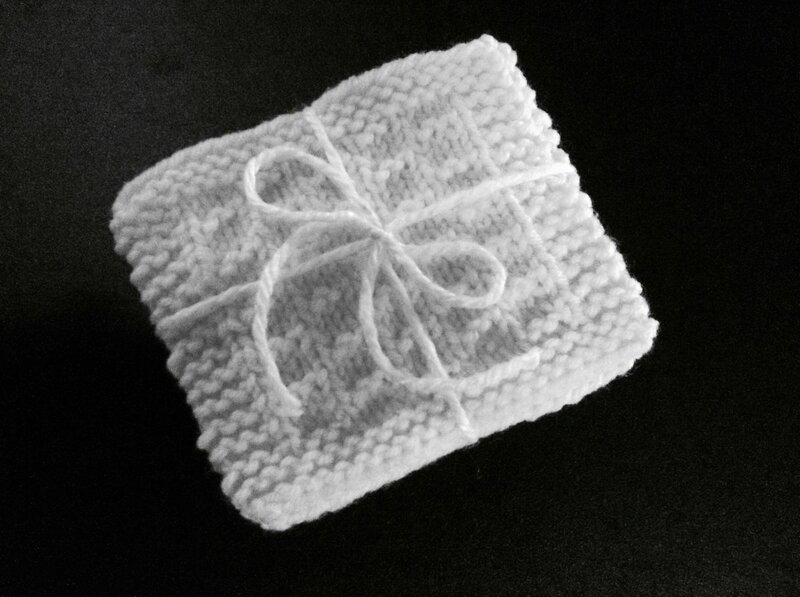 Cast on 82 stitches by using US#4 (3.5 mm) needle. Row 1: (WS) *(P2, K2), repeat *, end with P2. Row 2: (RS) *(K2, P2), repeat *, end with K2. Repeat Row 1 and 2 up to Row 20. Divide fronts, back and sleeves with markers. Row 21: (WS) Change to US#6 (4 mm) needle and K8, P10, place marker, P10, place marker, P26, place marker, P10, place marker, P10, K8. Slip all markers from Row 22. Row 22: (RS) K5, P3, K to last 8 sts, and Kfb before and after markers, P3, K5. (90) sts. Row 23: K8, P to last 8 sts, K8. Row 24: K5, P3, C6B, K to last 14 sts, and Kfb before and after markers, C6B, P3, K5. (98) sts. Row 25: K8, P to last 8 sts, K8. Row 26: K5, P3, K to last 8 sts, and Kfb before and after markers, P3, K5. (106) sts. Row 27: K8, P to last 8 sts, K8. Row 28: K5, P3, K3, C6F, K to last 17 sts, and Kfb before and after markers, C6F, K3, P3, K5. (114) sts. Row 29: K8, P to last 8 sts, K8. Row 30: K5, P3, K12, P1, Kfb before and after markers and knit through last marker, P1, K12, P3, K5. (122) sts. Row 31: K8, P12, K2, P to last 22 sts, K2, P12, K8. Row 32: K5, P3, C6B twice, P2, K to last 22 sts, Kfb before and after markers, P2, C6B twice, P3, K5. (130) sts. Row 33: K8, P12, K3, P to last 23 sts, K3, P12, K8. Row 34: K5, P3, K12, P3, K to last 23 sts, and Kfb before and after markers, P3, K12, P3, K5. (138) sts. Row 35: K8, P12, K3, P to last 23 sts, K3, P12, K8. Row 36: K5, P3, K3, C6F, K3, P3, K to last 23 sts, and Kfb before and after markers, P3, K3, C6F, K3, P3, K5. (146) sts. Row 37: K8, P12, K3, P to last 23 sts, K3, P12, K8. Row 38: K5, P3, K12, P3, K to last 23 sts, and Kfb before and after markers, P3, K12, P3, K5. (154) sts. Row 39: K8, P12, K3, P to last 23 sts, K3, P12, K8. Row 41: K8, P12, K3, P to last 23 sts, K3, P12, K8. Row 42: K5, P3, K12, P3, K to last 23 sts, and Kfb before and after markers, P3, K12, P3, K5. (170) sts. Row 43: K8, P12, K3, P to last 23 sts, K3, P12, K8. Row 44: K5, P3, K3, C6F, K3, P3, K to last 23 sts, and Kfb before and after markers, P3, K3, C6F, K3, P3, K5. (178) sts. Repeat Row 37 to Row 44 (2) more times up to Row 60. Combine front and back body parts. Row 62: K5, P3, K12, P3, K to last 23 sts, P3, K12, P3, K5. Row 63: K8, P12, K3, P to last 23 sts, K3, P12, K8. Row 64: K5, P3, C6B twice, P3, K to last 23 sts, P3, C6B twice, P3, K5. Row 65: K8, P12, K3, P to last 23 sts, K3, P12, K8. Row 66: K5, P3, K12, P3, K to last 23 sts, P3, K12, P3, K5. Row 67: K8, P12, K3, P to last 23 sts, K3, P12, K8. Row 68: K5, P3, K3, C6F, K3, P3, K to last 23 sts, P3, K3, C6F, K3, P3, K5. Repeat Row 61 to 68 (6) more times to reach Row 116. Rows 117-119: Change to US#4 (3.5 mm) needle and K5, *(K2, P2), repeat * to last 5 sts, K5. Rows 121-124: K5, *(K2, P2), repeat * to last 5 sts, K5. Bind off knit-wise to knit sts and purl-wise to purl sts. Rounds 1-6: K around. (54) sts. Round 7: SSK, K to last 2 sts, K2tog. (52) sts. Repeat Round 1 to 7 (6) more times to reach Round 49. Rounds 50-59: Change to US#4 (3.5 mm) needle and (K2, P2) around. (40) sts. Bind off knit-wise to knit sts and purl-wise to purl sts, weave in the ends and fix five small buttons at the proper places. This pattern is not for commercial sale. Personal use only. Please do not resell, distribute or reprint this pattern unless expressly for your own use and convenience. Lets vote and see . . .
Have you knitted baby sweaters before? No, this is first time. Hi there! How can I make this sweater for 3-6 month baby? You need to repeat the pattern (8 rows) 2 more times. Row 44 = Row 52 = Row 60.
except Rows 48, 56 and 60. 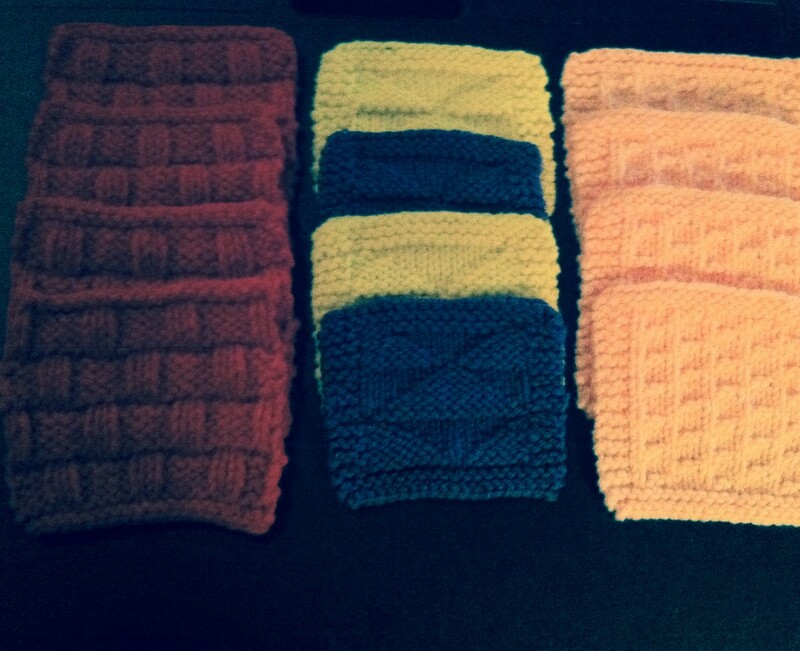 All stitches are the same except last 5 sts, just knit K5 instead of "K2, YO, K2tog, K1". That mean you don't need to make button holes in these rows. For Row 60, you need to make 2nd button hole, so all stitches are the same as Row 44 except last 5 sts, knit "K2, YO, K2tog, K1" instead of "K5". Plz help. On the braided cabled baby sweater, where are rows 46, 47 and 48. After row 44 it says to knit rows 37-44 (2) more times up to row 60. I've done that. Now I'm stuck. Plz explain; row 48 and 56 k 5sts only? What happened to rows 49-55? I would love to finish this sweater for my 1st granddaughter. I don't want to take it all out and start something else. Plz help, I'm stuck at row 45 for the baby cabled sweater. Plz explain, I've knitted rows 37-44 twice. When you say up to row 60 I'm lost. Where are rows 46,47,? Explain rows 48 and 56? It says k5 only for last 5sts? Do I just knit rows 48 and 56 across? The meaning of row 22 is k5, p3, knit to last stitch before 1st marker, Kfb, SM, Kfb, K to last st before 2nd marker, Kfb, SM, Kfb, K to last st before 3rd marker, Kfb, SM, Kfb, K to last st before marker, Kfb, SM, Kfb, K to last 8 sts, p3, k5. So if you k5 p3 that leaves 10 stitches and not 18 to add up to 18 should read leaves 10 stitches and not 8 to add up to 18. Thank you. I went to the video for r22. I see you k5 then p3 and then you begin to knit again but you only knit 3 stitches before the video changes and suddenly you are on the last stitch before the first marker so it is not clear. I have 10 stitches after p3 and not 8. I am stuck now and can not proceed. I would love to continue this sweater but I need to know how to proceed. The video is not clear in this case. There should definitely be 18 stitches when you start r22 so that means k5 p3 and then knit 10 stitches to marker not 8. Please I am really stuck. Can you explain what I do not understand. I am knitting the free pattern seamless braided sweater. I have the correct no of stitches. I checked 3 times. I placed the markers in the right places, but somehow there is something I do not get. at the end of row 21 you p 10 k8 making a total of 18 stitches. On row 22, though, you knit 5 purl 3 and knit to last 8 stitches EXCEPT that there are 10 stitches before the marker and not 8 and you are suppose to kfb the last stitch before and after the marker which means you k9 and then kfb the 10 stitch because there are 10 stitches and not 8. The beginning of r22 is the end of r21. The end of r21 adds up to 18 stitches. So if you k5 p3 that leaves 10 stitches and not 18 to add up to 18. What am I not understanding. Thank you. Thanks for loving the pattern. Last row for Kfb is Row 60. Could someone please tell me which row i stop with Kfb, if i ever stop doing those? I'm already at row 55, so a quick answer would be great. Oh, love this pattern, just wish i could get it in my size, size medium. I'm almost finished making this sweater. Love the way it's turning out. Is there a pattern for a hat to match the sweater? Hi Sri, Row 61 is the same way as Row 63. Thanks for asking. Have a happy knitting. Could you please tell me how can I repeat row 61,as you told to repeat row 61 to row 68 until we reach row 116, but in row 61 there was some markers but for row 69 there would be no marker, so what should be the steps?? I knitted one by watching the videos and it turned out wonderful. thanks a lot.will post a picture soon. Hi I really like the look of the pattern and I was wondering if the pattern comes in an adult size. Thank you for the amazing pattern. Its my first baby sweater and so far its been easy to follow. I am not sure how to combine the front and back is there a video you could direct me to please. Thank you for all your help. Will you be doing anymore topdown knitting with no seams it would be really great I love it , I did it in marble blue it looks lovely ? Hi Marjorie1234, I have plan to make bigger size and I hope I can update soon in my stores. 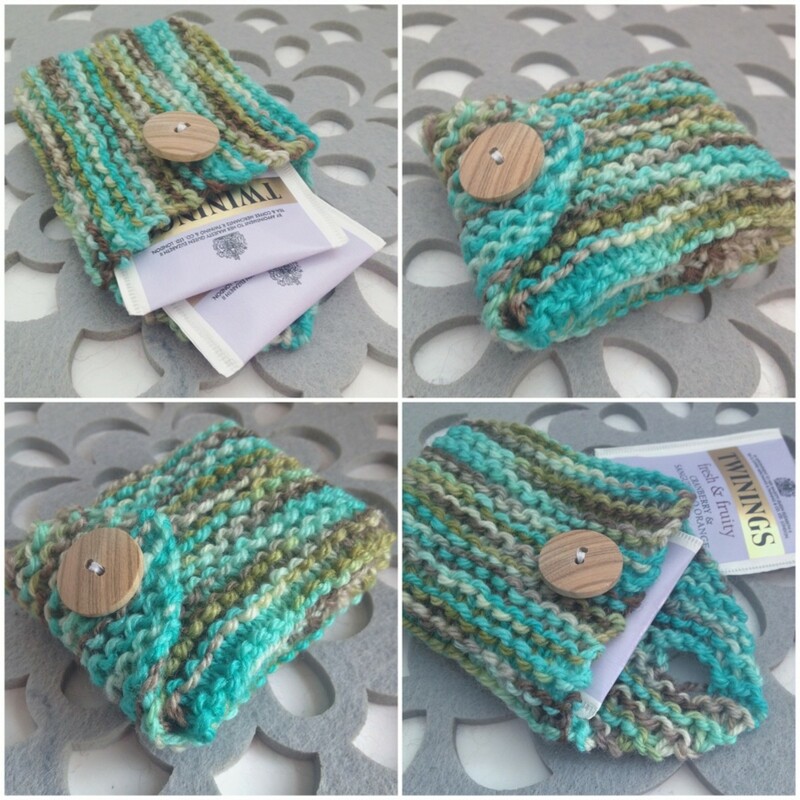 Some knitters say this 12-24 months size can be wear up to 3 years old child. I loved your cable cardi it was so easy to do , it would be so great if you would do it in a bigger size , I have a grandchild and she is three years old? Can you help ? 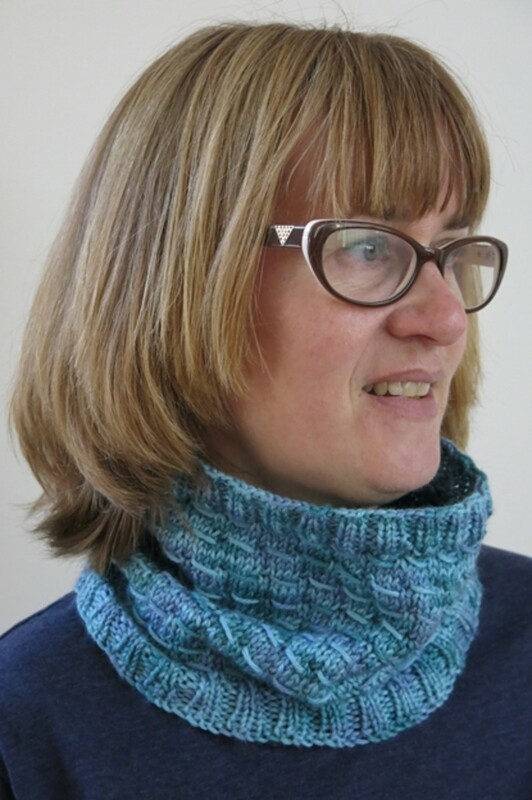 Hi Benedicte, Thanks for knit along with my videos and happy they can help you. I wanna make many videos for both baby and adult including your requested pattern. I hope I can make soon. I started knitting and your baby booties were my first accomplishment. I had to make 3 booties since my first booty was not like the other:--). With your video's I was able to learn and feel like I could finish anything. So I've made your baby sweater for my godchild and the mother love the sweater so much, I am making another... If you ever get around to making a child size: hoody sweater with the zipper in the back, that's something I've been looking for the not all patterns are strait forward as yours. Christy once again you have outdone yourself and I adore the design. I really enjoy your written and audiovisual explanations. What's more, they are concisely clear leaving little guesswork. I used your other designs here to make gifts for Christmas 2013 and all love them. And thank you for offering freebies that are nice in quality and beauty rather than remnants of a basement sale bin. Your efforts helped move my skills along quickly. Once again, allow me to say thank you for everything-especially where you took time to address concerns or questions from we, your students, making the old adage of no question being too dumb to ask. Love this pattern,im knitting this for my son...already with the second button hole row.. Can't wait to finish it.. Thank you for these easy to follow pattern and video..
Tthank you for this lovely pattern. I had no trouble at all following the pattern and it was very easy to follow. My gauge was exactly like the one you provided and it came out being more of a 2t 3t size instead of 12-24 months, but in the end it was a lovely fun pattern. 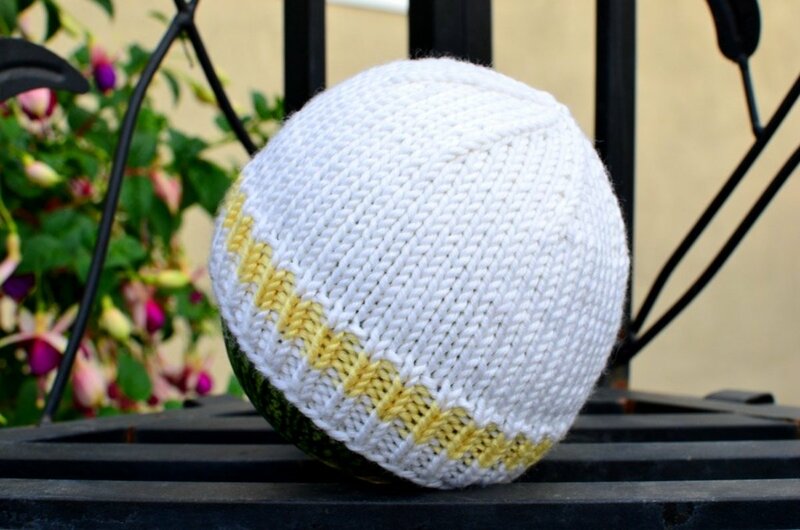 I am about to knit up another one for my son. Thank you for your reply. When I watch the video it does say to knit eight to the marker when there are two extra stitches. There are 18 stitches to the marker based in these instructions. I guess this is what has me confused. Hi Donlo, Thanks for liking. Have a happy knitting! Hi Monique5, Please take a look videos. I hope they can help you because they are showing step by step and very detail. It also says to slip all markers from row 22 but they are still on the rows after. This is my first sweater and am confused by this. Thanks for any help on this lovely sweater. I am up to doing row 22. Why do the instructions say to knit 8 to get to marker and then do the increase. When I have 10 stitches when I get to the marker. I have recounted. Is this a mistake? Hi Kerri, The size also depends on the yarn you used. Pls check your gauge before you knit. 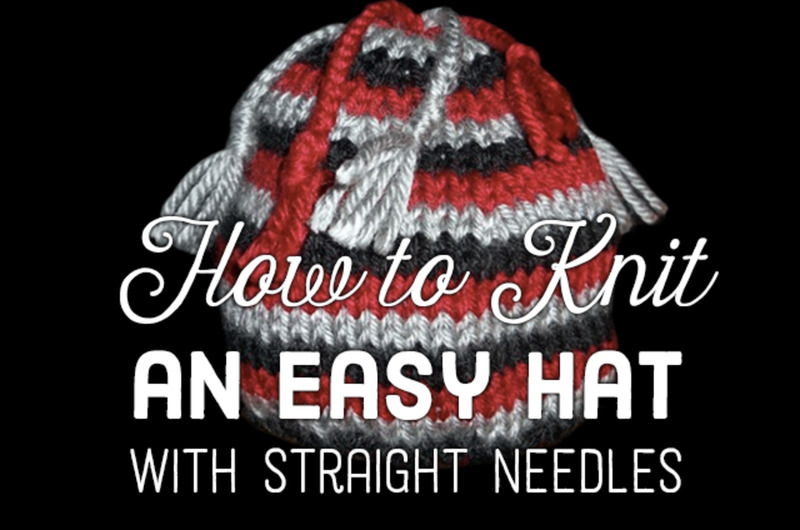 If you want smaller size, use smaller needles and thin yarn. Please take a look in the video Part 5. It is showing how to pick up 4 sts underarm. Where in the directions are the cast on stitches for the underarm?? I'm to the sleeves and there are no stitches that I cast on. Hi Anggie, I already updated the corrections in this written pattern. Thanks for asking. Hi! Im following these instructions to the tee!....i was wondering if the written pattern has been updated as i see there were some corrections on youtube....Thanks! Hi Nanna Wendy, thanks for loving my pattern. This page can not download and just print it for you and convenience. Love the pattern but can't get it to download, perhaps you can email me where I'm going wrong. Thanks. Hi crafty4566, I forgot to put it. Thanks. Needle size to obtain the gauge is US#6 and any yarn of Cat 4 Med worsted weight, Cat 3 DK weight yarn may also OK if you get the same gauge, it depends on your knitting loosely or tightly. I knit a little tightly. Is the gauge with a size 4 or size 6 needle. Is the Caron med. worsted a #4 yarn?? Or a smaller number like dk?? thank you for sharing this useful info. voted up and follow. I am very happy you all like my pattern and videos can help you. This is a lovely sweater!!!! Congratulations on a lovely design, and thank you for making the Seamless Cabled Sweater pattern available. It is charming and will look wonderful on both boys or girls. I am new to making sweaters, so I will be watching the videos as well.